Touch Of Belle : Versatile Blog award! 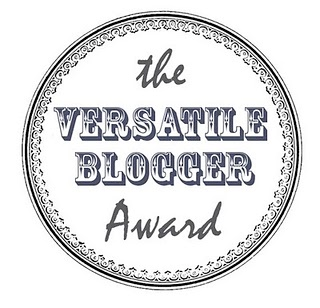 Basically the versatile blogger award is given by fellow bloggers for writing quality posts that have somehow touched them, having good quality photographs, and the uniqueness of the subjects covered! 5. Remember - you can't nominate the person who nominated you! 2. I canoed 20 miles for charity and I had never been in a canoe before! 3. I think the word "Flannel" Is such a funny word!